Heat oven to 400°F. Poke potatoes all over with a sharp knife and rub with oil. 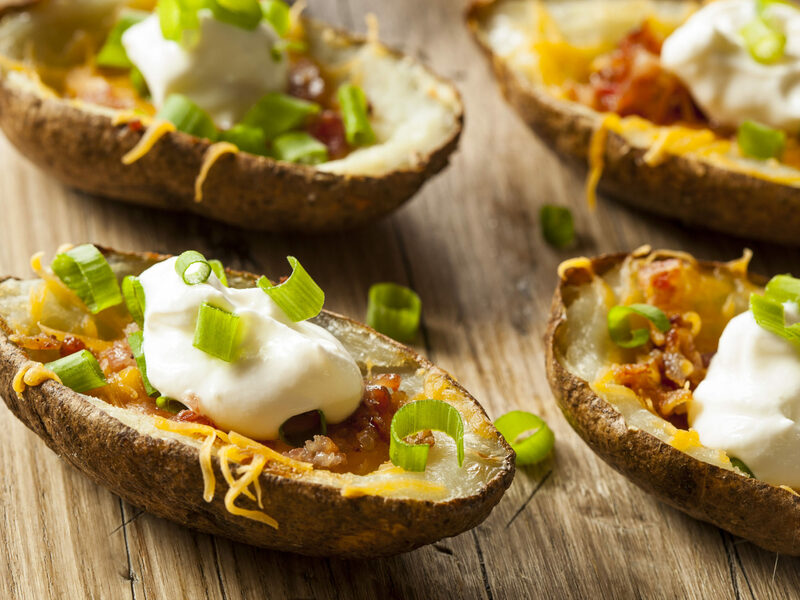 Place potatoes on a rimmed baking sheet and place in oven. Roast until soft, 60-75 minutes. Let cool. Heat broiler to high. Cut potatoes in half and scoop out the flesh, leaving about a ¼ inch of potato. (Save the scooped out potato for another use.) Brush insides of potatoes with melted butter and season with salt and pepper; return to rack. Broil until crisp and flesh is golden, about 5-7 minutes. Sprinkle cheese and bacon evenly among the potatoes. Place under the broiler until cheese is melted, about 2 minutes. 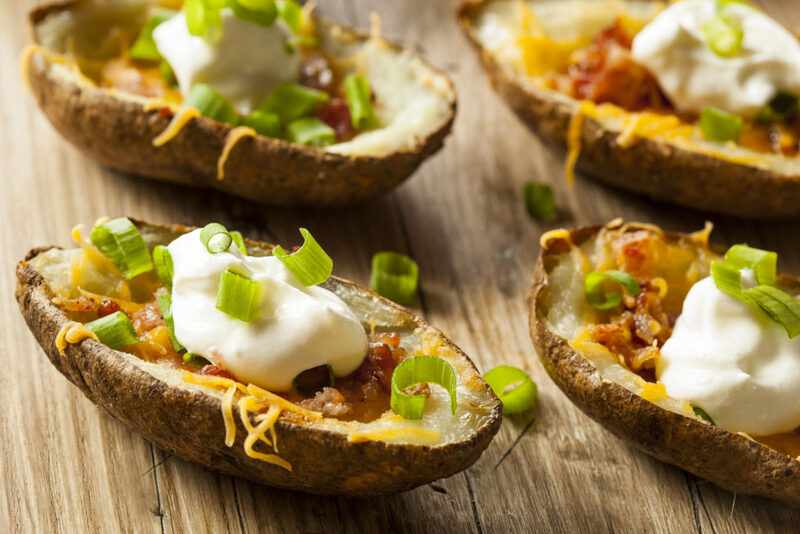 Serve topped with sour cream, green onions, and black pepper.